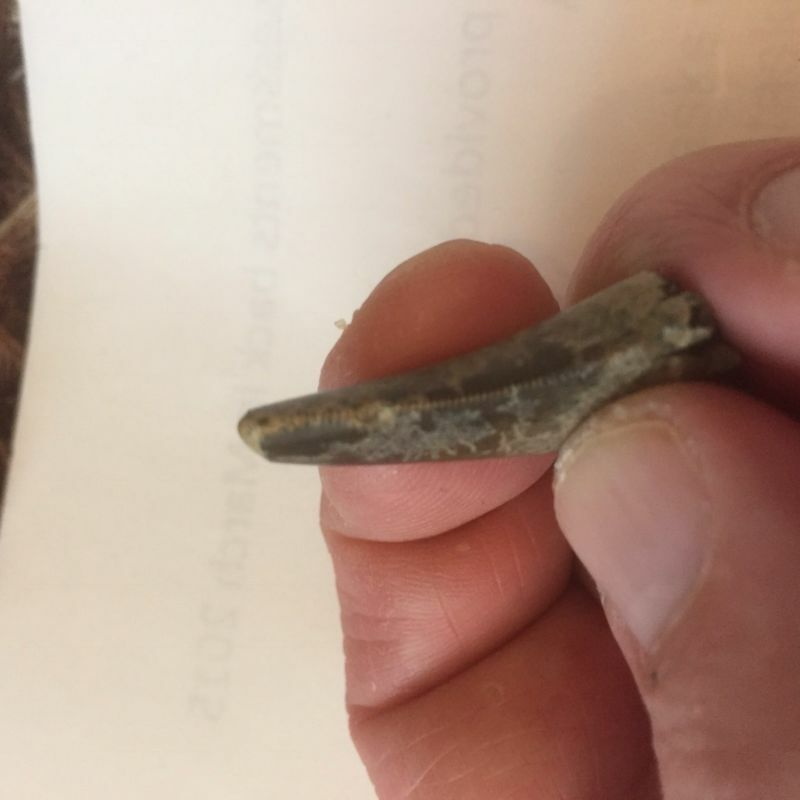 what do you think about this deinonychus tooth? 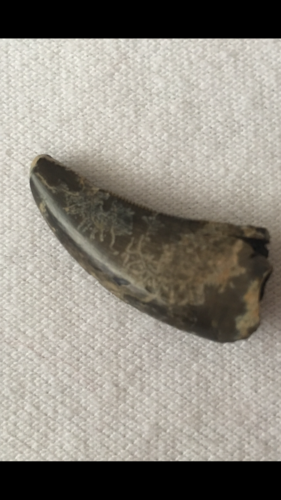 The seller says it's from Utah, U.S.A.
What is the specific locality of where the tooth is from? Anything more than Utah and what formation it was found. This is very important. All of the Deinonychus material I've ever seen comes from the Cloverly Formation of Montana which is much more common than other localities. I read that fossils have been found in other states including the Cedar Mountain Formation of Utah but are extremely rare. I've not seen much published from these other areas so this is what I understand from Montana's specimens. A number of characteristics need to be examined to determine if this is one : size and shape of tooth, serrations placement and count. Your tooth is equivalent to figure A in the photo. Teeth in the Cloverly are not as large as the one you're asking about and rarely approach 20 mm, yours is around 30mm, see photo. It's a 3 meter long dromaeosaurid with a small skull so it's not a large dinosaur. The crowns are also slightly asymmetrical see A2 so one side is fatter than the other along the carina. Will need a view similiar to A2 to determine that. Next feature is that the distal serrations are present from the tip to base. Difficult to see with your photos. 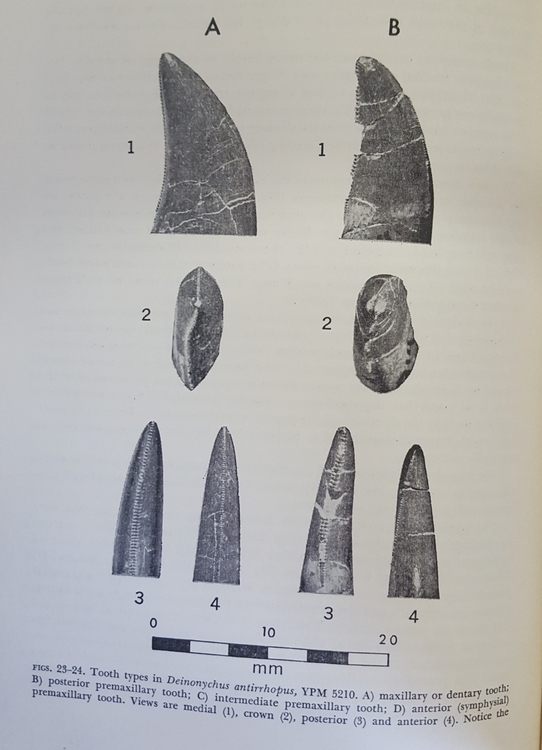 The attached image comes from Ostroms Peabody book Osteology of D. antrirrops of Montana. So based on the information you provided it's difficult to determine what you have and without a more specific locality impossible. "10 in the posterior and 8/9 on the anterior"
Thanks for the additional pictures but without a specific locality it's impossible to say what it is. Utah has many fauna of different ages and pictures alone are not adequate. The tooth does not look like Deinonychus to robust to be a dromaeosaurid. My guess it's from the Cedar Mountain Formation. 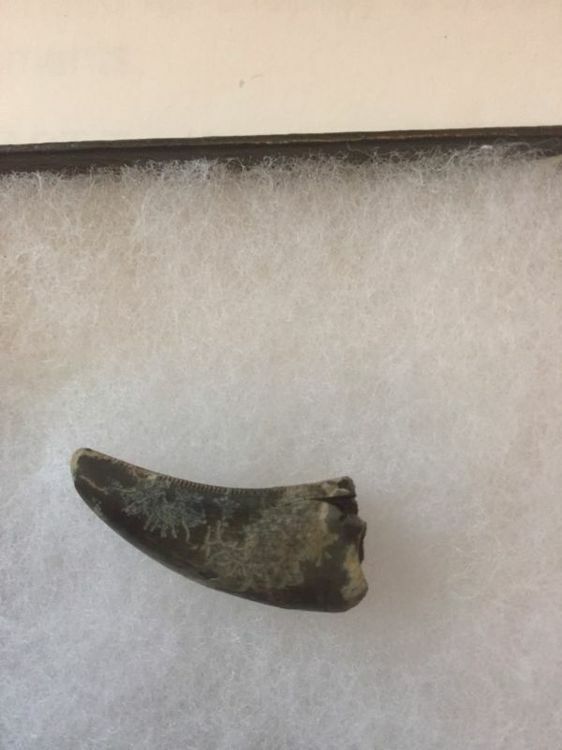 Ok Troodon, do you think it's a dromaeosaurid?The seller said he did not know anything else about the tooth, just a general Utah reference, because he bought it 18 years ago. 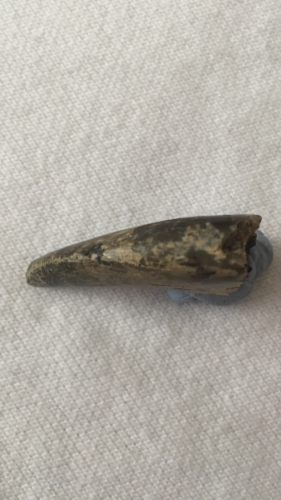 No it does not look like a typical Dromaeosaurid tooth. It's most likely from a midsize or larger theropod. Having said that Utahraptor unlike other Dromaeosaurid's have nearly identical serration density (11-12/5 mm) in both carinae but I've only seen premaxillary teeth. Without locality it could be a Jurassic tooth. 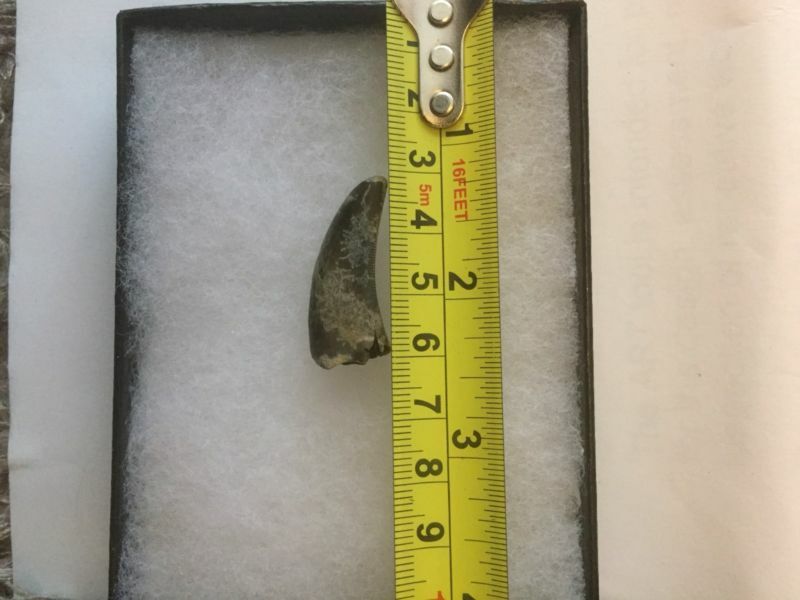 While it might be tempting to get this tooth, understand this: there is no provenance data beyond "Utah". If your goal is to get a nice Utah dino tooth, go ahead and buy it. 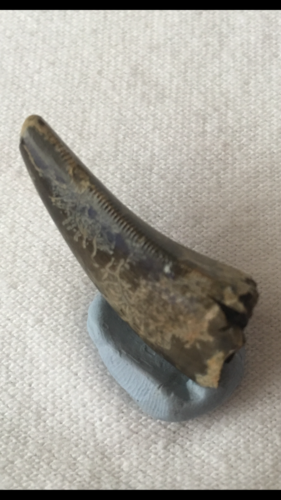 But if you want a positive ID, be prepared that you might never know what dinosaur this tooth belongs to.